2010 was a very big year for cookbooks. And when I say “big”, I don’t just mean there were plenty of great cookbooks published this year, but some of them were huge. Ready for Dessert tipped the baker’s scale at over 3-pounds, and subsequent books that continued throughout the year tested the limits of my strength, such as Bon Appétit Desserts, which weighs in at a whopping 6-pounds. But as they say, “Size doesn’t matter” and I found myself attracted to a variety of cookbooks of all dimensions. Here are a few cookbooks, baking tomes, and food-related books that were released this year or that I featured on the site in 2010. You’d never know that Dorie Greenspan only spends one-third of her time in Paris because after reading through this massive collection of three hundred fabulous recipes, she nails the city and the food, including stories and recipes from the restaurants, markets, and most endearingly, her stable of Parisian friends—which makes mine look like the unwashed masses. Her moist French Apple Cake was enjoyed from breakfast around here, and eating cake for breakfast probably isn’t very French, but tant pis. And my Seaweed Cookies got a makeover and are featured along with everything from Chicken in a Pot (poule au pot) to Nutella Tartine, something that’s given to children during their afternoon snack break—but I don’t see any reason we adults can’t get in on the fun as well. Around My French Table is the new French classic cookbook in my collection and one I’ll be turning to over and over again for years to come. Every holiday season, the requests come in for a Pumpkin Ice Cream recipe. Although I do have a recipe ice cream made with sweet potatoes (which I prefer because they have less water and are richer-tasting), I made Karen DeMasco’s spot-on Pumpkin Ice Cream, and the other recipes in this book have gotten similar acclaim. Karen was the pastry chef at Craft in New York, hence the name of her very first, and I’m sure not her last, book of desserts. When this huge book landed on my doorstep, I assumed it would be a rote recitation of recipes culled from the Times’ massive and deep archives. (I also assumed it wasn’t a doorstop, although I nearly threw my back out lifting it.) And how surprised—and delighted, was I to discover that The Essential New York Times Cookbook had the unmistakable tone and voice of author Amanda Hesser. Instead of just re-presenting years of recipes, each and every one has been retested and updated for today’s tastes. 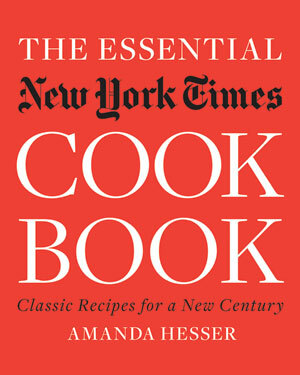 She cooked and baked her way through over one thousand recipes, Amanda’s words and advice along the way add much to the allure of forgotten recipes like Evelyn Sharpe’s French Chocolate Cake (which she says is the first flourless chocolate cake to appear in the Times) to classics like Bourbon Pecan Pie. An added bonus? A recipe of mine is the last one in the book! 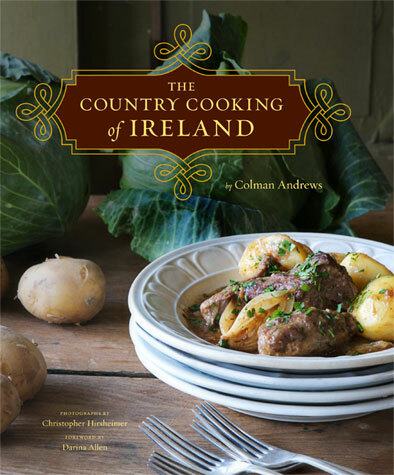 I’m a little late in the game on this one, as A) This year I finally discovered the wonderful foods of Ireland, and B) Everyone else did too, as The Country Cooking of Ireland won the James Beard Cookbook of the Year award. There’s more to Irish cooking than Brown Bread Ice Cream and I want to cook everything from this book, or move to Ireland. This book should come with a warning: it’ll makes you want to do both, too. When Hungry for Paris first came out, I settled in to the sofa and read it from cover-to-cover. No one covers the Paris dining scene like Alec Lobrano and even though I didn’t think this book could be any more vital for anyone coming to Paris in search of a good meal, Hungry for Paris was just updated with maps as well as a bunch of new restaurants and a few that he felt were no longer worthy of mention. As I said, no one has their finger on Paris dining as much as Alec Lobrano and if you bring just one book on the plane with you to Paris, you’ll be well-fed after you arrive if it’s Hungry for Paris. My trip to London (and subsequently, New York) was thwarted by a mischievous volcano. Even sadder than unpacking a suitcase for a trip that I’d been planning for months was that I wouldn’t get to meet Yotam Ottolenghi, author of Plenty. I’d made his Chocolate-Dipped Florentines from his first book and when his newest book on vegetarian cooking arrived, it didn’t take me long to settle on his recipe for Fried Beans with Sorrel, Feta and Sumac. Although there’s no meat in this book, Yotam isn’t a vegetarian and these recipes are intended for everyone. I’ve been dialing down how much meat I eat and am anticipating making a lot more of his recipes, which range from Smoky Frittata to Caramelized Garlic Tart, as well as other dishes that reflect Chef Ottolenghi’s Middle Eastern heritage. 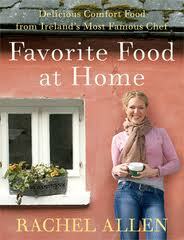 One of the high points of my year was having lunch in the home of Rachel Allen in Ireland. Her food was simple, but boldly wonderful reflecting the strong character of her native country and the ingredients available there. The Plum and Rhubarb Crisp paired two tangy ingredients under the nutty, buttery topping and the other recipes in Favorite Food at Home are equally appealing and simple. Rachel is beloved in her country and it’s easy to see why her fame has crossed through various oceans and borders. Forget all these young, hot-shot chefs with their tattoos and potty-mouths: I remember the day that James Beard walked into the kitchen at Chez Panisse and our collective jaws pretty much hit the our chopping blocks. If any of you whippersnappers out there don’t know who James Beard was, Google him. He was one of the first to celebrate and trumpet American cuisine and while Tongue and Eggs in Aspic probably won’t be on any home menus soon (and would anyone ‘boil’ spareribs? 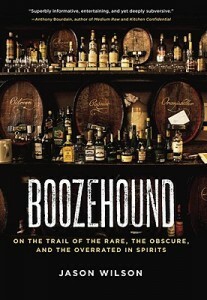 ), it makes pretty fascinating reading to go back in time and I enjoyed reading about how Americans ate back then. Obviously she hadn’t been back to the states in a while to see how far we’ve come. 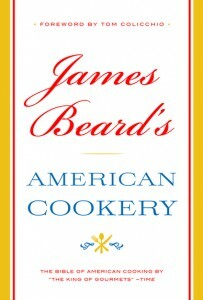 But James Beard’s American Cookery is a witty reminder of our culinary heritage. I’ve actually bookmarked his recipe for Cassoulet (page 598), just because I think it’d be fun to make one American-style, and serve it to some French guests. Minus one. The internet makes for strange bedfellow and although you’re probably thinking I’m going delve into the “too much information” category here, you can relax (although enquiring minds might want to know more). Having a food blog means one is constantly interacting with a wide variety of people, many of who live in other countries and follow other diets. Aside from being a place for some people to find bedfellows, it’s what makes the online world such an interesting place. Meeting Shauna James, otherwise known as Gluten-Free Girl, was a real treat several years ago when I was in Seattle, and we’ve been friends ever since. We haven’t been bedfellows; that honor goes to her husband Danny, otherwise known as The Chef. 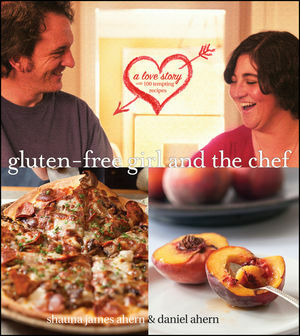 This collaborative book, Gluten-Free Girl and the Chef, is about their life and love (of food, and each other) and is stocked with recipes like Black Cod in Black Rice Powder and Smoked Salt Caramel Ice Cream, an adaptation of one of my recipes that doesn’t contain a speck of gluten, but you’ll never miss it. Once I get my hands on some cranberries, I’m giving their Shiso-Cranberry Sorbet a whirl in my ice cream maker. When people ask me “What’s the best food city in the world?” they’re always surprised when I say “San Francisco.” But if you’ve been to any of the glorious farmer’s markets there, it’s hard not to agree on how varied and spectacular the fruits and vegetables are. And good cooking begins with good ingredients, so Jennie Schacht hits the greenmarket for inspiration in Farmer’s Market Desserts. Thankfully this book isn’t regional and anyone with access to a farmer’s market or well-stocked grocer can whip up French Fig Bars or Rosemary Cornmeal Crisps which I’m planning on making to accompany some cheese…that I get from my own market, here in Paris. I was a vegetarian for a number of years. I like vegetables and if it wasn’t for people nagging me all the time to at least try to eat some meat, it was pretty easy. But during that time, I was almost always craving a hot corned beef sandwich on rye bread. (I was living in New York at the time and at times, it was excrutiating not to dive into one.) 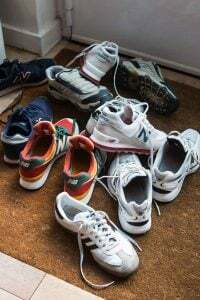 Eventually I succumbed to the temptation and at that moment, my mother was probably the most relieved person on the planet. Tara Austin Weaver took a different tact; she was raised as a vegetarian and only because of medical issues did she reluctantly delve into the world of meat-eating. Having lived in places like San Francisco and Seattle, where it’s fairly easy to find locally-raised meat (that you didn’t need to worry about), The Butcher and the Vegetarian tells the awkward dance that she did with meat-eaters and meat-pushers, leading to an unusual conclusion. I was hoping for a Chimichurri recipe because her description sounded so good and I started a blog post about it but never followed though. But the idea of strips of rare meat with a slick herb sauce has stuck with me since I put the book down and just thinking about it again right now is making me want to revisit that idea—and my butcher. My biggest disappointment in life didn’t involve a wasted opportunity or a regretful decision; it involved coconut. When I was a kid and the Good Humor man came by ringing his bells, if I couldn’t afford the Toasted Coconut ice cream bars, which were priced at an outrageous 40¢, I had to console myself with a 5¢ whammy stick. Now that I’m all grown-up and stuff, I can eat whatever I want (which I do…a little too much) and to this day, my favorite dessert combination is coconut and dark chocolate. So of course, I had to make the chocolate-and-coconut extravaganza known as German Chocolate Cupcakes from Lori Longbotham’s Luscious Coconut Desserts. The cupcake fad may be on the wane, but anything combining these two flavors is always going to be in fashion for me. You might be one of those people who think, “Salt? What’s the big deal?” But turn the pages of this major treatise on the various kinds of salts from around the world (including how they’re harvested and what makes them so special), and you’ll learn what to do with them as well. Mark Bitterman is a selmelier who owns an artisanal-product boutique that specializes in salt. But you don’t need to take a trip there to learn all about salt. 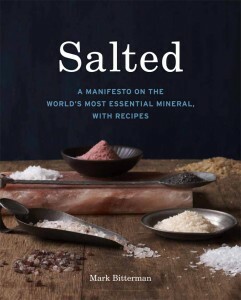 Salted is going to be my go-to reference when I find a new type of salt and am wondering what to do with it. 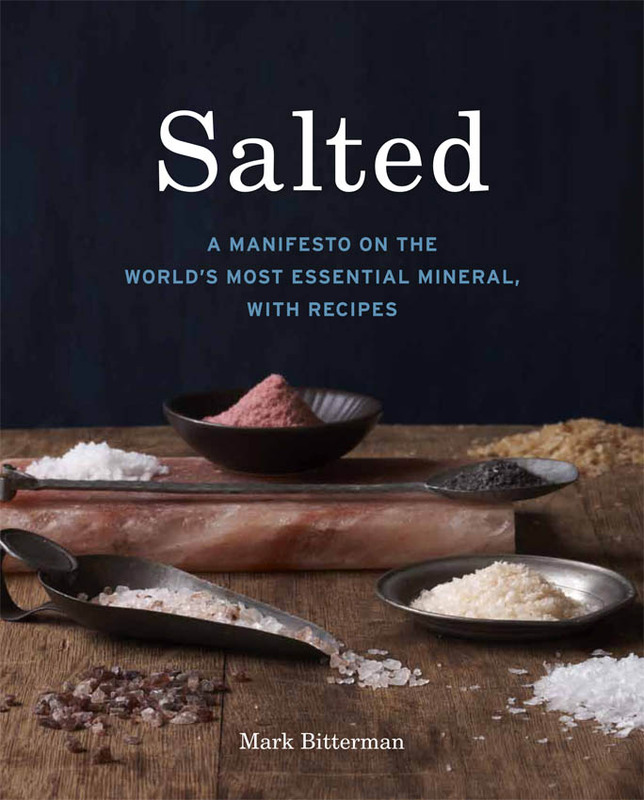 The last one-third of the book focuses on recipes that use everything from fleur de sel from France to a Himalayan Salt Bowl Chocolate Fondue, although I’m strongly eyeing the Soft Pretzels with Hickory Smoked Salt. This unexpected book isn’t really about the three items they chose for the title, but I think they’re familiar to Americans hence their leading role. And although the book is about Jewish cooking in France, there’s everything from Oatmeal Bread with Figs to a warming Soupe au Pistou that I used as inspiration for making a big pot of soup and dragging out my mortar and pestle for pounding some summer-fresh basil. I’ve not explored much of Jewish cooking in France, but if it involves anything like a crusty Alsatian Pear Kugel with Prunes shown in the book, well, I’d better start searching for it. Or start peeling some pears. Nothing surprised me more than My Sweet Mexico when I opened the unsolicited package from my publisher. Like many of you, perhaps, we haven’t given Mexican desserts a lot of thought. Sure there’s Flan and quite a few delicious ice creams to be had in Mexico, but there’s also a lot of brightly-colored pastries that are more decorative than delectable. But looking through the photographs in this truly stunning cookbook might win a few converts. 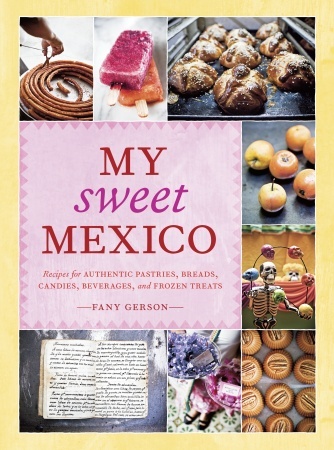 I tackled the Chocolate-Dulce de Leche Flan, which required a little tinkering, but am happy to have this book in my collection if only to dream of sweet treats…and future trips to one of my favorite places, Mexico. 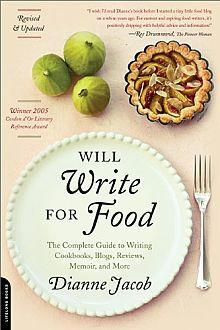 When I was asked to write the introduction to the all-new edition of Will Write for Food, about halfway through my scribing, I realized that I had bought the original version of this book when it came out when I was transitioning from being a professional baker to writing about cooking. I like books that are hard-core and don’t pull any punches. Want to know how to find an agent and sell your book idea? Wondering how much you can expect to make as a food writer?. Or what makes a good restaurant reviewer? In this completely updated edition, Dianne Jacob tackles these topics but adds quite a bit about food blogging and interviews many of the most prolific food bloggers, as well as cookbook authors and editors to get the pulse of what’s working, and what doesn’t anymore. 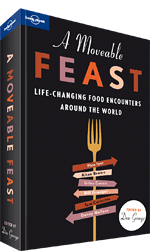 This book is a must for anyone interested in becoming a better food writer. Portugal is one of my favorite food destinations. Natas, those little bite-sized tarts, are too-easy to eat, and Bacalau à Bras, salt cod with scrambled eggs, could very well be my permanent breakfast, lunch and dinner for the rest of my life. 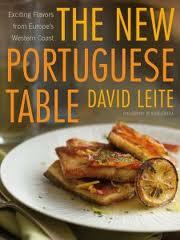 But the Eggless Mayonnaise from The New Portuguese Table by David Leite was truly a revelation. Lighter than regular mayonnaise, I found it the perfect base for sprightly chervil. Someone told me that if a cookbook has one good recipe in it, it’s a good cookbook. And this one is good enough for me. 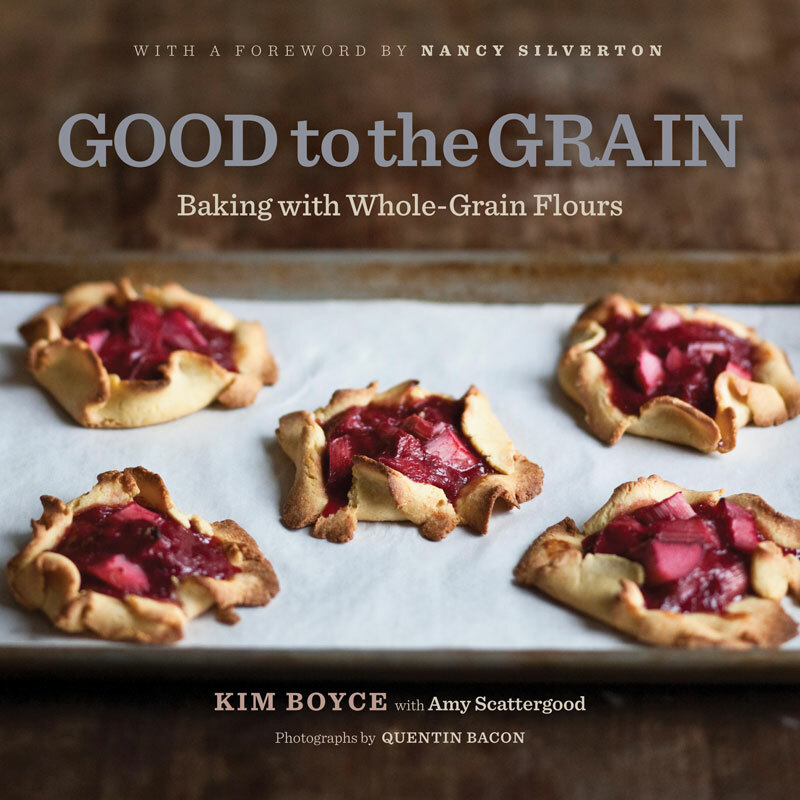 As I flipped through the pages of Good to the Grain, a generously photographed treatise on baking with usual and hearty whole grains, I was floored by how creatively Kim Boyce sifts all sorts of flours into traditional baked goods. This book shows how bakers can dial up flavors just by swapping out another flour or adding a grain that you might not normally think of as a baking ingredient. For example, who would have thought of adding barley flour to Strawberry Scones or buckwheat flour to Chocolate Persimmon Muffins—but why not? I saw that I was thanked as inspiration for this book (see I’m not all bad..) and you’ll find in these pages treats that are sophisticated but not fancy, and naturally delicious. And that’s all the thanks I need. 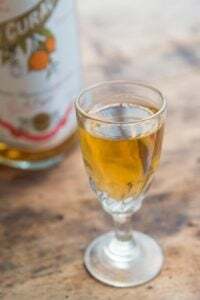 So sitting around a table of fancy—and pricy, Cognacs, I sipped around until I couldn’t taste anymore, specifically the last one. Jason was seated next to me, leaned over and pointed to the 1/2 teaspoon of amber liquid in my glass, said, “You’d better drink that. That’s about $300 worth of liquid in there.” Yikes! So I did. 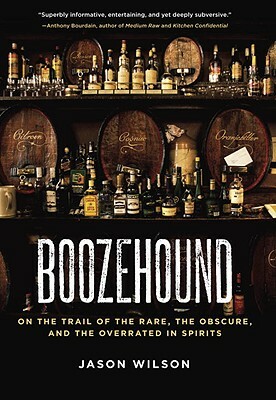 I was glad for that advice back then, and was happy to get his book Boozehound, which took me on an exploration of what he says are “…the rare, the obscure and the overrated” and inspired me to make a icy Spritz. With recipes for all sort of cocktails and libations, plus lots of highly-opinionated rants and raves (and a few pot-shots at the big guys, like the €30 cocktails at the Ritz in Paris that use bottled juice, not fresh) it’s not as much fun as sitting with Jason around a table of spirits, ready to be sampled. But until we meet again, this book is the next best thing. Whoa! 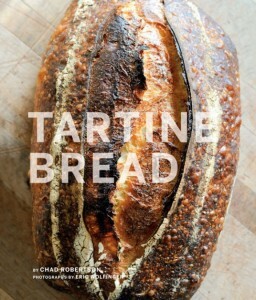 Was the first word I said when I opened this book from San Francisco’s Tartine bakery. Tartine Bread begins with a lengthy recipe and lesson on how to make bread. At this always-packed bakery in San Francisco, the bread comes out of the oven late in the afternoon, which is a complete turnaround from Paris. It’s amazing bread worth waiting for and although I don’t make my own bread (and why would I when there’s people willing to wake up at 3am to do it for me around here?) aside from gazing at the stunning photos in this book, there’s all sorts of recipes for tempting bread-related dishes like Baked French Toast, French Onion Soup, and the caramelized brown bread crumbs I used in my Brown Bread Ice Cream. Ann Mah is of Chinese ancestry and her novel about a young woman leaving her less-than-glamorous job in New York and moving to Beijing may or may not be a thinly veiled story of her life. But the ‘novel’ format gives her lots of latitude to tell the story. A lot of the descriptions in Kitchen Chinese of food were enticing enough to make me want to scramble to the kitchen, or to a good Chinese restaurant, and slurp up some noodles and get crackin’ on some crab. A bit of a departure for Susan Loomis, best known for her books about French country cooking. Here the focus is nuts, with a little worldwide tour of nutty dishes not only from France, but from Thailand and Spain as well. 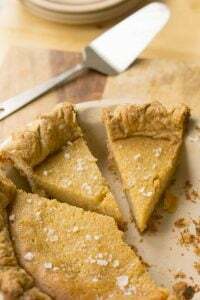 Her recipes are always foolproof and her recipe for Apricot, Almond, and Lemon Bread was a big hit at Thanksgiving this year. 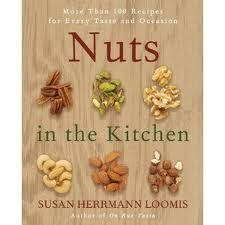 Am flipping through the book and thinking of what would be good for a nut-filled Christmas and New Year. A bubbly woman came up to me at the end of a recent meet-up here in Paris with a bag of homemade macarons and a book which she just published on the same subject. In the bag were the most lovely little macarons I’ve seen in all of Paris, even in the fancy places that churn out a gazillion of these cookies annually. Macarons have gone rogue, leaving the confines of Paris and spreading across the globe. Mad About Macarons! 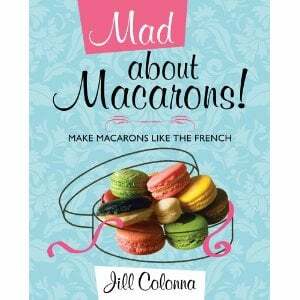 by Jill Colonna is lavishly photographed with lots of clears steps of the process for how to make classic macarons as well as interesting and unusual variations (curry, chocolate-beet, and pistachio-wasabi to name a few). If you like macarons, it’s likely you’ll love this book. I met Gina DePalma a few years ago in New York City. Gina is the pastry chef at Babbo, a position she’s held for seemingly all of eternity and it’s hard to think of Babbo without her. We met for—what else? Ice cream! We shared bowls of creamy gelato, lapping up different flavors until we could eat no more. Before we parted she signed a copy of Dolce Italiano and handed it to me, which I brought back to Paris. Italian desserts can be a tough sell. Like the Swiss chard-filled tart from Nice, Parisians aren’t used to discovering bits of vegetables in their cakes (even if zucchini, technically, is a fruit). And living in a city, I’m never on the receiving end of someone’s overload of zucchini from their potager (vegetable garden) but had a few beautiful specimens I got at the market and made her Zucchini Cake with Crunchy Lemon glaze. You might raise an eyebrow at using zucchini in a cake, but it takes a lot of resolve to resist crunchy lemon glaze. 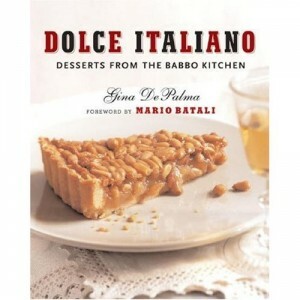 Not only is this book filled with intriguing, authentic Italian desserts, it’s a good read, too. This charming little book was translated from Japanese and I Love Macarons! has a few flaws mostly likely because of it. There’s some conflicting information and a few other goofs, but the macarons that I made from the book, using the special technique and master recipe, came out great. It’s a charming little book and was the first book on macarons that was widely released in the states. I tackled the master macaron recipe and had great results, although a little tinkering was required. I’d heard about Flour bakery in Boston for ages but living thousands of miles away, I never got the chance to stop by. Until that happens, I’m going to be content with Flour, the cookbook. I made Joanne Chang’s Oatmeal-Raisin Cookies, and from the comments, it seems I wasn’t the only one that fell for them. There’s lots of breakfast treats and other tasty temptations in this book, too. But it seems like cookies are the star of the show, and I’m looking forward to sampling a few more of her cookies, courtesy of her already flour-dusted book. 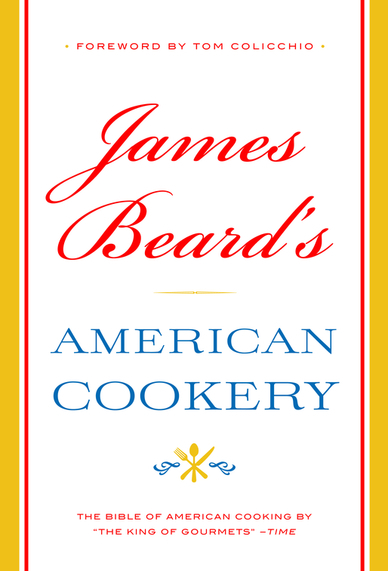 Margaret: It was pretty interesting reading the book by James Beard, especially to see how far American cooking has become. Still, it was one of the first of our generation to tout “American” ingredients and cooking. Not all of it was fabulous, but the book was written decades ago and so much has changed in America since then. And it was fun to get a look back at it all. Yes, it is pretty outdated but I used James Beards cookbooks when I was first married and learned basic things, like how to cook green beans and how to roast a chicken, etc. I’ll always be grateful to him, and still use some of his techniques. These all look so good! I was going to buy myself a new cookbook for xmas. Thanks for the recs! Thank you for this perfectly timed post! I have some ‘Foodies Who Have Everything’ on my list and there are several suggestions that jumped out as books I have not noted on their shelves. In fact I see a few I may buy myself! Happy Holidays and Thank you! Well the LAST thing I need is another good book (oy, it’s a sickness), but I want to thank you heartily for introducing me to Yotam Ottolenghi in one of your old posts. 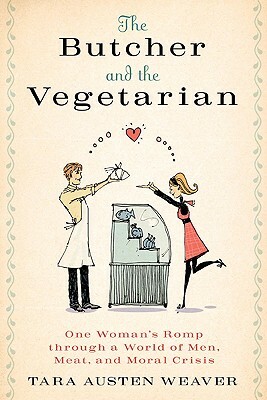 Plenty is now on my wish list, and I’ve bookmarked the New Vegetarian page on the Guardian. I made the Sicilian pasta with capers and raisins last night–amazing! Wonderful list David. Dorie Greenspan’s book is fabulous. 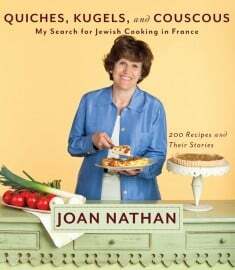 Joan Nathan’s book along with the Claudia Rodin’s The Book of Jewish Food are treasures not only for the recipes, but for the history and portraits of people who have kept this food alive in so many parts of the world. I read them like novels, they are so fascinating and bittersweet. 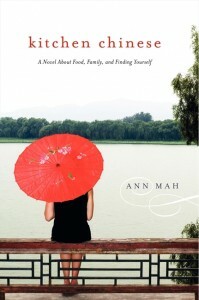 I hope more people will become acquainted with their history through cooking. Food is intimately connected to culture and family, which is why so many of us connect the smells and tastes of our holidays or our grandparents’ kitchens to the thing that are most comforting to our souls. Good thing I leave my Christmas list open ended. Glad to see that many of my favs made your cut- including your book, of course. Also glad that you’ve introduced me to some new books that I now must run out to get! Wow, my holiday wish list just got a LOT longer. Epic list! Thank you! This is a great list. This time of year I get to the “seem one you have seen them all” in cookbook of the year lists. I appreciate you had some of the standards that made me feel good about a few purchases this year, but you also added some unique selections and even a few non-cook food books. Thanks for the suggestions. Nicole: Yes, these are the books that prompted me to pick them up and make a recipe out of them. Not necessarily best-sellers or by celebrity chefs. Some of the books are quirky and I like books that have a lot of personality in them, too. Great list! There are a lot of books here that I have been meaning to get. Thanks so much for the list, not only do I have your book, Ready for Dessert but I have also have now Tartine and Around my French Table. All of this started when at my local library one day and picked up your book Ripe for Dessert. From this list and a recent trip to Paris I really appreciate the Macaron books on this list. Thanks for a great list of cookbooks! I have recently been very addicted to Mexican food so I think I may have to run out and get “My Sweet Mexico.” If you like the food scene in San Francisco you should make a trip up here to the Pacific Northwest. Portland has an incredbile food scene, there’s a large number of farmer’s markets, amazing wine country, and a long, long list of amazing food carts! The Poutine at Potato Champion is worth the visit! Not trying to sound like a tourism commercial but just hoping to tempt you! Thanks again for the post. 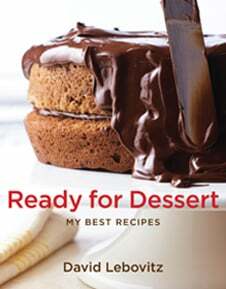 Congratulations on Ready for Dessert’s inclusion on both Epicurious’ and Washington Post’s best cookbooks of 2010 lists (read it on Huffington Post). I bought the book a few months ago on Amazon UK. Your banana cake with mocha frosting is extraordinary. Thanks for being my frequent companion in the kitchen – and on my iPhone. All best wishes for 2011. I have been dying to get into your book, and I can’t wait to start baking! FYI, I have GOOD TO THE GRAIN and THE CRAFT OF BAKING – they were in last year’s Chanukah haul, and are amazing. This year’s batch also included the Joan Nathan and Amanda Hesser books – but you’ve given me some terrific ideas for next year’s wishlist! Loved this post, but didn’t love the cash I just spent on a few choice titles…Can I add one of my own? I have used Diana Henry’s ‘Food From Plenty’ so much this year, and everything in it has been amazing…ditto for Yottam’s Plenty, which is a fantastic book. Thanks for the list! Great list! I’ve been baking from My Sweet Mexico recently. A few of the recipes required ‘tinkering’, as you say, but otherwise, results were great. Love this list, thank you for it–but I was sad to see that Plenty won’t be released until March 2011, so technically it’s not a book from 2010, at least for those of us peons who don’t get free copies from publishers! I thought it would be perfect for my partner for a Christmas gift, but I guess it will have to wait until next Christmas. 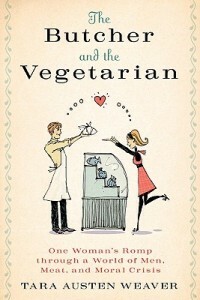 Any suggestions for similarly wonderful/appealing to everyone vegetarian cookbooks (i.e. not totally hippie/tofu/Birkenstock) from 2010 or earlier? Ready for Dessert is my favorite new cookbook of all. I of course couldn’t wait for Hanukkah, so I pre-ordered it early and have been enjoying it ever since. Thank you so much for making another great book! 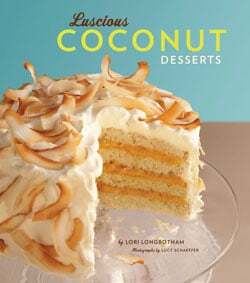 Thank you for the Luscious Coconut Desserts recommendation! Dark chocolate and coconut is my near obsession, but I truly love anything made with coconut, so long as it’s made well and with *good* coconut. I can’t wait to track down this book. David, what do you, Keith Richards and Cleopatra have in common? Your books are all at my bedside–“Ready for Dessert” by David Lebovitz, “Life” by Keith Richards and “Cleopatra: A Life” by Stacy Schiff. So, hey, you’re in good company. I’m dipping in and out of all three books, and so far, you’ve definitely got them whipped in the recipe department. Love your writing, and I cook from all your books. So glad to see you mentioning, too, “My Sweet Mexico” by Fany Gerson, which is a masterful collection of Mexican dessert recipes. Like you, I love travelling Mexico. I never miss a chance to stop into a panaderia or sweet shop. Cheers from Houston. With a batch of biscotti from your cookbook in my oven right now, I am reading your post and so excited that some of the cookbooks I have and some that I want made your list. Not to be overly critical…but you might want to edit your paragraph on Good to the Grain (just a few mistakes in there!). Congratulations! I just noted ‘Ready for Dessert’ is on the Best Cookbooks of 2010 list for both the Washington Post (with the note ‘you’ll want to make everything in this cookbook’; true for all your cookbooks I’ve found) and Epicurious (short list, good company)! Intriguing listing – are there enough meals in a day to cook through all of them? Dorie’s book arrived and I cooked three recipes right off the bat. Staring at the NY Times and don’t know where to begin. Yours and others are on my wish list. Cookbooks make the best bedtime reading and at least the reading is non-caloric. Thank you for the list. I bought yours right after I spotted it at the local Barnes & Noble. Everything I’ve made has so far been wonderful but I can’t get much past the Racines cake. Starbucks had chocolate covered cocoa nibs marked way down so I bought about ten boxes which worked perfectly on the cake. 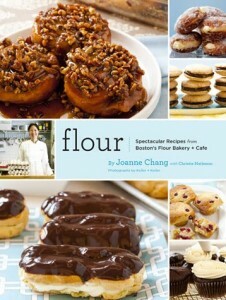 Again, after seeing Dorie’s new cookbook at B&N and lusting after it for a couple of weeks, I had to buy it. Again, everything so far has been wonderful. I can attest that these are some incredible cookbooks. In particular, the Flour cookbook is a treat. And I’m not just saying that because I live in Boston. 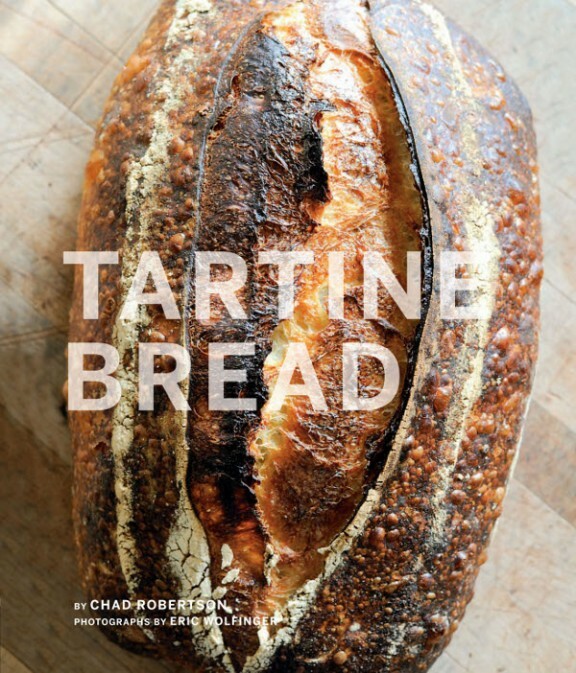 Having just recently eaten at Tartine, I am both excited and nervous by the idea of owning a book that will guide me into temptation… and by that I mean that I will want to make and consume every recipe in there. And, of course, your cookbook is a delight. Not sure what we would do without you! Thank you! Merci! Now I can pass a few of these on to Santa… I’ve been relatively good this year. Certainly good enough to merit a couple of these books! I’m a proud owner of Dorie’s book and Amanda’s is next on my Amazon list (in addition to a bunch more now!) and i’m proud that I follow most of these people on Twitter! Thanks for a great wishlist and hope your back has recovered from shlepping all those massive books! I never met a cookbook I didn’t like, or couldn’t buy. Looks like I will be getting a few more ‘Hugs from Amazon’ based on your recommendations. A really great list. So many I’d like to check out… although I need another cookbook like I need another hole in my head. The country cooking of Ireland is definitely the one I am looking forward to buy. I love any book referring to rustic, classic homey fares. 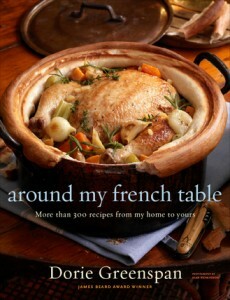 Around my French table will be the book that I will offer to myself on Xmas. What a perfectly, thoughtful post! I have a little over a third of these books, the other third is on my wish list and the last third I will be researching on Amazon. Thank you so much for sharing your favorites (tartine, dorie, shauna, and of course – ready for desserts are on the top of my list)! Great choices… I’ve got a few, but clearly I have some shopping to do. I’ve really been wanting that Flour baking book for sure. Your cookbook made my list of favorites this year & many of my readers noted yours as being on their wish list for Christmas. Congrats on another successful book! There’s a Baked and Matt Lewis and Renato tag but no mention of the Explorations book! I really enjoyed your reviews, and or two new ones onto my wishlist. How wonderful to be cooked dinner by Rachel Allen. I’ve not been to Ireland….yet. So many great recommendations! Thanks. Great list! I have only one book though, which is the last one! Wonder who that’s written by…. haha! I hope to get the Japanese book on macarons though! Thank you, this narrows down my selection quite a bit. OK. Clearly I’ll be spending a bit of cashola on Book Depository over coming weeks. While I have a few of these (including Plenty which I LOVE, LOVE, LOVE) there are a few missing from my collection. Thanks for your thoughts David. What a great list! I have a number of them (including yours and Dorie’s, as well as Dolce Italiano and The Craft of Baking — it’s going to be a busy baking season) and am hoping for a few more under the tree (Tartine and The Country Cooking of Ireland in particular). Just wanted to second your comments on the new NYT cookbook — not just good to cook from — it’s a good read. And another endorsement for Hungry in Paris. 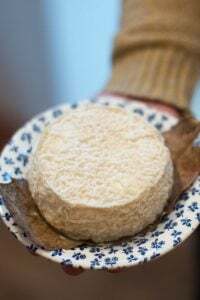 We just returned from our first trip to Paris last week and Lobrano never steered us wrong — following his recommendations, we enjoyed dinners at Le Timbre, La Ferrandaise, and L’Epigramme ( this last from Lobrano’s article on Parisian bistros in the November Saveur). Our food was wonderful (I spent yesterday trying to recreate the turnip soup my husband loved at Le Timbre), the service was warm and welcoming, and the spaces charming. I’ll end with a thanks to you as well — I revisited this site obsessively in the weeks before we left and many of your posts were printed off, three-hole punched and included in a notebook that accompanied us to Paris. As a result, I came home with some oils and spices and mustards, and other products I am very excited to start using in my kitchen. Joyeux Noel! Oh — and one more thing — your The Sweet Life in Paris was my great read on the way over — and now that I am back in the frigid Northeast I plan to warm up my kitchen today by baking the Breton Buckwheat Cake with Fleur de Sel — both because it looks delicious and because it seems like a nice way of remembering the lovely Breton couple we met and chatted with over our dinner at L’Epigramme. PS — my husband also thanks you for the head’s up about the dangers underfoot on the sidewalk. Hi David. Thanks so much for this list….I am beginning to weed out some of my older cookbooks and replace them with more up-to-date ones. There are some great choices here. In fact, before I got to the end of your article, I’d already run over to amazon to order 2 of them! I am an addict; what can I say? 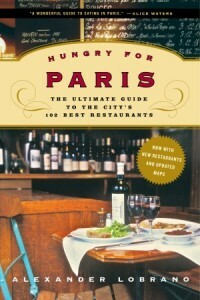 Question: I’ve checked around the web, but only find the 2008 version of “Hungry for Paris” available. No one is listing a 2010 edition. Can you give us an ISBN number or some other identifying symbol so we can be sure and purchase the updated version. BTW…had the most fantastic desert at Fig & Olive in NYC last week: Mulled Wine Sorbet in a tumbler glass with a small meringue and lime yoghurt. It was TO DIE FOR! Will be attempting to replicate it all at home for Christmas dinner! Love your blog and FB. Happy Holidays!!! Can’t wait to get your book “Ready for Dessert” (perused over it at our local bookstore but I am waiting till the holidays are over to get my own copy – most likely one with an autographed bookplate). I have read “Sweet Life in Paris” and enjoyed it so much I gave one to my sister as a birthday gift. I am also thinking of getting the New York Times Cookbook mainly because I love their Dutch Baby recipe which I have been using for several years now. Currently reading “Why French Women Dont Get Fat” by Mireille Guiliano and am finding a lot of interesting “tips”. I second Debbie’s comment – love your blog!!! If you come to Boston, you’ve got a place to stay! We’ve just moved here and have struggled to find places we’d actually eat at again. 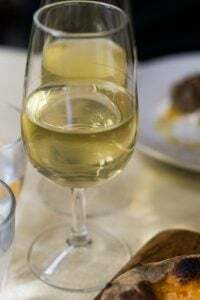 (I got spoiled after five years in Australia – three of which were in Sydney which has stunning food.) 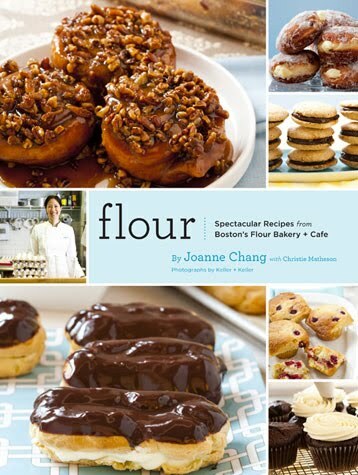 But I did a class with Joanne Chang and have a signed copy of _Flour_ adorning the shelves that hold my cookbook collection. It’s a great, great cookbook that is very easy to follow. I’m actually planning to make one of her cookie recipes today. Thanks for this list. Love it. What a great list – I am just going to convert it to my wish list on Amazon and keep my fingers crossed. I also love Alice Medrich’s Chewy Gooey Crispy Crunchy Melt-In-Your-Mouth Cookies, (if you can stumble past the title). You recommended her out of print book on cookies some time ago, and I managed to score a copy, but this new book is even better. She’d updated some of her recipes, and added many others. The Chestnut Walnut Meringues were fantastic as a gift (though I had to make two recipes, since I tried so many out of the oven to be sure they were ‘just right’). And she has a great section in the back by category – cookies that keep at least 2 weeks, cookie doughs that freeze well, less fat cookies – etc. This is great for narrowing down what to make to mail for the holidays. Check it out! Love your blog – it’s my tea break treat! I have bookmarked this list because it is wonderfully wide ranging and it includes some Irish cookbooks!!! Made my first trip to the “homeland” this summer and fell in love with the country, it’s people and the food so adding these books to my library will help with the withdrawal symptoms. Debbie: I’m not sure how to tell what edition they’re selling but according to the picture on Amazon, it’s the revision. You might want to check the Random House website and see if there are variations in the ISBN number. Catherine: I love all of Alice’s books (and Alice!) Will be picking that one up on my next trip back to the states, for sure. 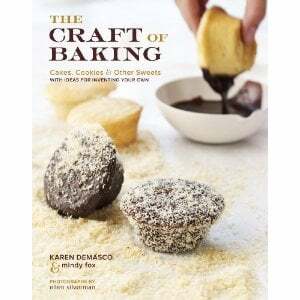 And even though it’s out of print, her lowfat baking book is worth scouting out. Nancy: Coleman’s book is stunning. I had no idea but had to get it after I went to Ireland. The only problem is that reading it makes me want to go right back! I live right across the street from a Borders, and every time I go in there, I have to look at Dorie Greenspan’s book. 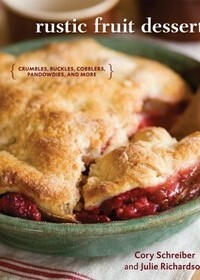 I’m fairly certain it will be in my possession soon, but I already have so many other cookbooks! And now I just want more. I’ve been wistfully waiting for Christmas, as I hope someone will buy me David’s and Dorie’s books. But now I have new books on my list. And I’ll have to buy them myself if I don’t get them. Helena — I think Bakewise by Shirley Corriher might be just what you are looking for. I love Bakewise. Its a fabulous book. David: thanks for your quick reply. I’ll give Random House a look tomorow. AJ: I am thrilled you’ll be going to Fig & Olive…we were at the smaller one in midtown, which is very cozy. I’m about 90 percent there on the recipe. I’ve adapted the Delia Smith recipe from deliaonline.com — just type in “mulled wine sorbet”. I began with Nurenberger Gluwhein instead of plain red wine. Once you make the wine base and it’s cooled, be sure to strain the fruit peels out; she doesn’t tell you that and I didn’t care for them. The consistency of the sorbet is perfect. At Fig & Olive they also serve, what I think is a mulled wine reduction, along side the dessert. I’ve been trying to get mine as thick as theirs was, but not quite there yet. It could be they used a lot more sugar than I did, but what I’ve gotten is quite tasty. And I got that recipe from the American Heart Association website! Bon appetite and let us know how your restaurant visit goes. And yes, Mark’s store is fantastic. I lived near the Meadow and would stop by just to smell it sometimes. We used his maple sugar smoked salt as our wedding favor this summer. David — I’d hate to tell you how much of that buckwheat cake has disappeared since yesterday afternoon — I seem to find all sorts of reasons to swing by the kitchen and slice off a small wedge. Only the first slice was hard to make — it was just so pretty I didn’t want to put a knife to it … but I am a woman of iron resolve when it comes to cake tasting. 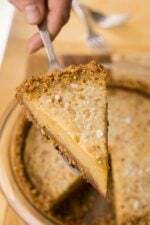 Debbie — thanks for the progress report on the recipe — sounds amazing and I am head over to Delia’s site once I finish this post. Thanks David, great recommendations and your book is gorgeous and inspiring. 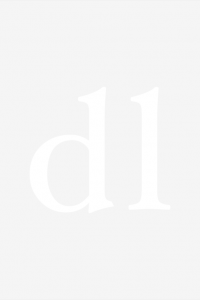 David, This is a great lists of cookbooks. 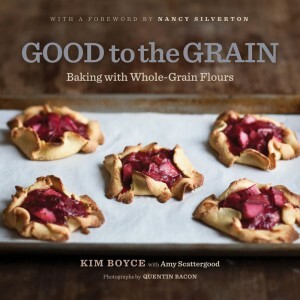 My favorite pick out of the list is Kim Boyce’s Good to the Grain, but I’d be happy to get any of the books as a Christmas gift. We’ve actually written about our experiences with a couple of Kim’s recipe on our blog, s’mores and barley scones with apple butter and cheddar. By the way, I read your book “The Sweet Life in Paris” on my flight from Paris to San Francisco this past April and only wished I had read it on the flight to Paris instead. The tips and stories were fun to read and I felt you really described the Paris I just left. It was our first trip Paris but not our last. Thanks for this David. You’ve just shortlisted another half a dozen books apparently I can’t live without. Coconut is my favorite! Now the coconut cookbook is on my list to Santa and I think I might have to add the Irish cookbook to my list as well. Thanks for the suggestions. As always, your blog is delightful. Happy Holidays. I recently went to a book reading/signing by Joan Nathan in NYC and some of the recipes from her book were being served at the event – the Pear Kugel w. Prunes was one of them and it was truly phenomenal! A lovely selection of books here, thanks David. A few of which I already have and a lot of which I desperately desire!! 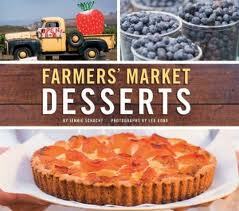 David — Thank you so much for including Farmers’ Market Desserts on your outstanding list. Let me know how the Rosemary Cornmeal Crisps work out for you. And congratulations on being the wrap-up recipe in the Essential NYT Cookbook with your Sugared Puffs. It’s not easy to improve on Maida Heatter! I got a new ice cream maker for Chanukkah and you can guess whose recipes will be going into it. Nice list! Now I have to find enough people that can buy those books as Christmas presents for me. Great books but what about Noma? I eagerly anticipate your blog postings and really enjoy your sense of humor. I’ve taken a class of yours at Central Market in Dallas, so it’s nice to be able to picture you when reading your posts. Thanks for this fabulous list of books. I concur on quite a few of them, but like Cecilia, would appreciate knowing just what you did to “tweak” the master recipe for the macarons in Ojita’s book. Thanks for all your entertaining writing and best of everything in 2011. 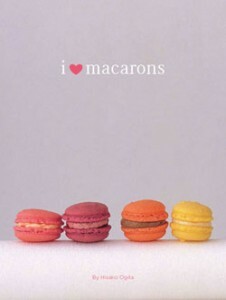 Cecilia + Theone: Unlike a lot of other books, I Love Macarons! has a master recipe and I didn’t write it up on the site because that’s the whole book. I don’t recall exactly what I did, but the photos weren’t in order and I used some of the knowledge I had from making macarons in France that I learned at school. But essentially the recipes as written worked; there’s more information in the post I did that points out a few of the curiousities of the book. Because of the quantity of questions people have about making macarons, time does not permit me to troubleshoot various recipes from elsewhere. But I compiled a comprehensive list of recipes and troubleshooting advice at Making French Macarons which folks should find helpful. Teddy: There were tons of books that came out this year and these were the ones I used or referred to on the site. 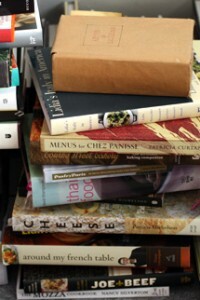 In general chef’s books are more for looking at rather than from cooking from. (Although I did make a recipe from the Alinea book once.) Plus I don’t have a copy of the Noma book which I hear is beautiful. Do you have it? If so, I’d be curious to know what recipes readers are making from it. I actually reviewed the Bon Appetit Desserts cookbook on my blog and yes its HEAVY. I bought one for my instructor at college and he nearly fainted and the weight of it. GORGEOUS photography though! I really enjoying reading your cookbook posts – I remember upon reading your list for 2009 I bought several of the ones listed (e.g. rustic fruit, art & soul of baking and baked). thanks for such great reviews…Irish food sounds intriguing haha! Really fantastic list. Unfortunately I’m supposed to be buying Christmas presents for others and now all I want to do is buy these for myself! 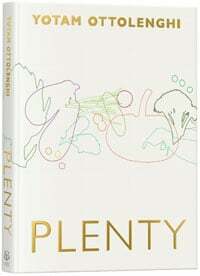 Plenty is next on my list of books for myself. Thanks for the recommendations! I ended up buying Tartine for my father for christmas; he has been struggling with rustic breads as of late. I think the explicit detail in Tartine will help him through his troubles. He (and I) currently use a popular northeastern flour company’s cookbook (which shall remain nameless) and have struggled on several recipes. And yes it is a beautiful book. Thanks again. It is nice to know all of this. I am really desperate to learn how to cook and I will definitely try to buy some of the books you have recommended. 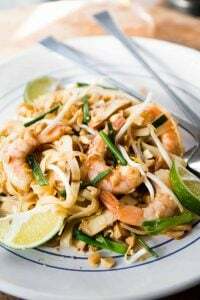 I always love cooking buy just the simple menus and this year I will try to move forward and impressed my husband more when it comes to my cooking.